Testimonials | Evelyn Mc Marketing! Below are just a few testimonials and kind words from current clients. Evelyn Mc Marketing looks forward to adding your testimonial to this page in the near future. Call us now on 087 2246989 to discuss how we can help your brand, today. I have to say, from our first contact with Evelyn – a cold call to ask would she help us with Marketing, to where we are now, Evelyn has been so enthusiastic, professional about everything we have discussed and planned, she always has her information prepared and on time. She has excellent suggestions on ways to improve our business. I would highly recommend her. 5 stars from me!! 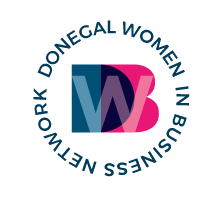 As PRO for the Donegal Women in Business Network, Evelyn has played a vital role in supporting and promoting women in business in the county. She takes care of all marketing both online social media and offline. Evelyn was one of the key planners and event managers of the recent Donegal Women in Business Network “Connect To Grow Conference” which was a complete sell out with over 150 attendees. Evelyn has played a critical role at BabyZone as well as at Crafty Kids. Over the years she has added significant value to our company through marketing, staff training, innovation and striking new relationships with potential customers. Evelyn has the skills and knowledge to help any SME looking to take the next step. She “gets” the business of interactive marketing, and has worked alongside us over the years to achieve our marketing. 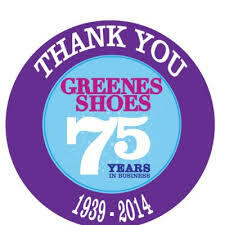 Evelyn has been the “voice” of marketing for us here in Greenes Shoes for some time . Her enthusiasm, energy and “get things done” attitude has connected the Greenes Shoes brand with everyone from rugby players to Rose of Tralee contestants to local community groups. She has an ability of thinking like the customer and using that in our marketing strategy. Thanks to her we won the Letterkenny Chamber of Commerce Excellence in Marketing 2015, and we raised a significant amount of money with the book Evelyn wrote “Greenes Shoes Saves Christmas” to benefit three charities Letterkennny Hospice, Pieta House Limerick and The Simon Community Galway. Also this was a major benefit to our SEO. Offline, online, Evelyn is innovative and creative and likes to get things done! Evelyn has worked in partnership for some time with the Careers Service at LYIT to promote usage of its Facebook page amongst the student population. Throughout this time Evelyn has used innovative methods to boost usage and I am happy to report Evelyn’s input has contributed in ensuring that the Careers Service Facebook page is the main medium students and graduates use to seek information on employment opportunities and other careers related topics. I would have no hesitation in recommending others to avail of Evelyn’s expertise.